If you run a small business or you work in a finance department of one company, you probably happen to use purchase orders to buy some additional gadgets, software for your employees or to procure the services. Purchase orders keep track of your inventory and supplies payments. On the other hand, if you are a supplier you receive purchase orders on a daily basis, from different buyers. In that way, you keep tracking of order fulfillment and payment processing. Purchase orders protects you from the buyers who changed their minds and don’t want to pay. Either way, the usage of purchase orders is widespread in different industries and companies, and both sides are protected. Purchase orders are often used and mostly saved in hard copies for future reference. It may easily happen that you need a similar purchase order, maybe for the same supplier but with different data. In that case, you don’t need to make a purchase order from scratch, you can just edit the existing one. Imagine you are in a hurry and you have only a paper copy of that purchase order you want to edit. What should you do? You can take a photo of that paper with your iPhone and edit it in just a few steps. Just put the paper on a flat and bright surface. Take a photo in a way that only the document itself is shown. Make sure the photo is clean so the result stays pretty much the same. 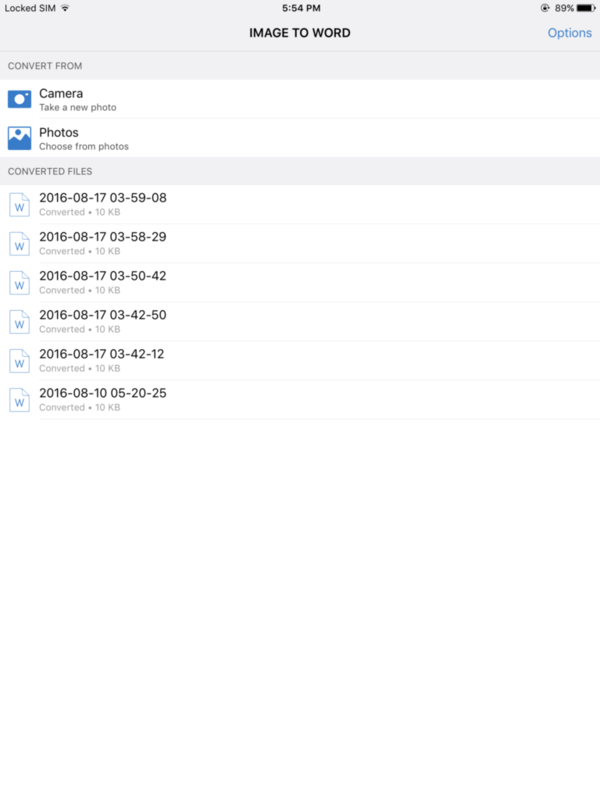 You can check out the taken photos in the Photos app, or any other app that stores photos. Once you are satisfied with the look of your photo, proceed to another step. Open the Image to Word app that you can download for free on the app store. Choose the photo of a purchase order. You will be able to choose photos from Camera or Photos app. And that’s it! The file is converted in no matter of time, your image will be available in .docx format and ready for reuse. The Image to Word app doesn’t have file size limitations. It can convert screenshots as well. Its high conversion quality and excellent recognition turn scanned images to an editable file format. Logically, after you get the converted file you will need an app that views .docx files, such as Microsoft Office, Office Suite and others. If you are an iPhone enthusiast, don’t miss trying out this app, you never know when you will need it. Making purchase orders will be less time consuming and the kind of task you can complete on the go.